Looking for new ways to get your booking rate up? Well we’ve got a bunch of ideas for you right here. The following list is ordered sequentially – you can skip over some tasks when forming your vacation rental marketing strategy. But it’s recommended that you execute the steps in order to ensure maximum effectiveness. Each of them requires some effort on your part, so roll your sleeves up and let’s get to it. Before you begin working on any of the following steps, you should ensure that your property’s condition and your hosting abilities are top-notch. There’s no point in wasting effort when there’s improvements to be made on the ground floor of your operation. It’s recommended that you read the Beginner’s Guide to Vacation Rental Management and the Vacation Owner’s Checklist before beginning. Now let’s do some vacation rental marketing! This is one of the first things any rental property manager should be doing. If you’re just sitting on a single listing channel, you’re depriving yourself of tons of free traffic. If you’re looking to take a more calculated approach, you could focus your efforts on particular channels based on traffic. 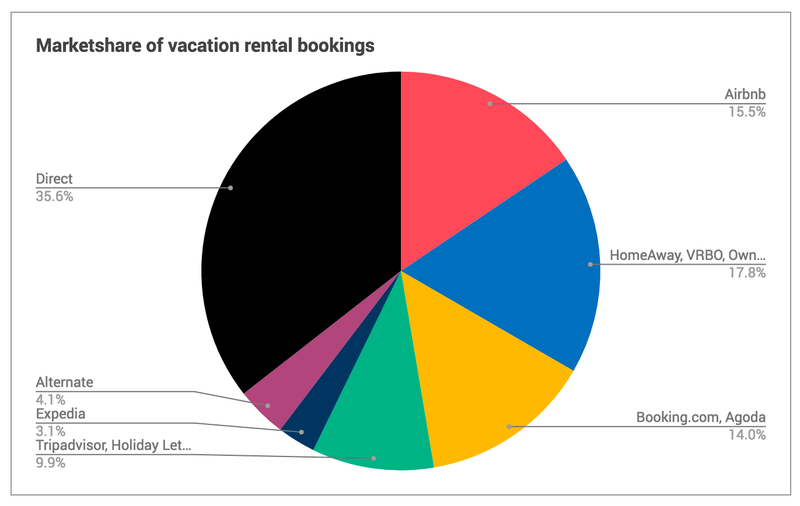 It’s worth noting that Booking.com recently reported that their numbers have surpassed Airbnb’s. It should also be noted that different sites cater to different sections of the market – apartments may have much better booking rates on a site like Wimdu. Be sure to check out all of them and see which best match your property. If you’re worried about managing all of these channels yourself, we’ve got that covered! Tokeet’s advanced channel management features will make this step a breeze. Improving your listing goes far beyond your list of amenities. There’s tons of literature out there written on the subject, but let’s break it down quickly here first. A good vacation rental marketing strategy will see your listing as a two-pronged promotional tool: general appeal & search ranking. To improve your listing’s appeal, the very first thing to change is your property’s images. This is something we say frequently on this blog, but it really can’t be stressed enough: get professional photos! Your imagery is the hook that’ll draw potential guests in, and the biggest factor in their decision to book or not. That’s just a fact – your competition knows this too. Speaking of hooks, you’ll also want to ensure that your default image presents the most attractive aspects of your property. This is the first thing potential guests will see in their search results – if you look bland, you won’t get clicks. Imagery is only scratching the surface though – you’ll also need to improve your titles, descriptions, profile, and more. To learn more about that, see the Beginner’s Guide to Rental Property Management. For a thorough Airbnb-specific breakdown, see the Airbnb Beginner’s Guide and the Airbnb Listing Tips articles (much is applicable to other channels as well). This is a difficult subject to cover in a short space of time, so there will be some recommended reading. That’s what we want to do to your listing. But we’re not necessarily optimizing for general searches on Google. You don’t have enough control over your listings to do any heavy modification (but you could do off-site SEO…more on that later). Instead, we want to rank better in the channel’s search results. The process is quite different since listing channels only allow users to search by location. There will be no keyword optimization necessary. For the most part, you’ll be attempting to improve your profile’s appeal and your customer interactions since these are major ranking factors across the board. This is covered in the Airbnb SEO article. A lot of those practices will improve your rankings on various other channels as well. But because each one uses a different algorithm, you’ll have to do a bit of research on your specific channels to ensure you’re optimizing correctly. Response rate – speed is key here.  Profile completeness – things like identity verification, descriptions, profile image, etc. Listing clicks, past bookings – the number of people who have viewed your listing before will affect your ranking. It seems a little unfair at first, but the previous step in this article will improve your click/booking rates. Reviews – yes, of course your reviews will factor into your ranking. To improve the number of reviews you receive, you’ll want to do some follow-up emails with your guests to gently nudge them into leaving a review. This process is outlined in the beginner’s guide (step 4) as well. These are just general suggestions because each channel will have different features you’ll need to work. As a rule of thumb, good communication, a strong profile, and great guest experiences will improve your property’s search ranking. A few of these channels utilize pay-to-rank systems. Booking.com, for instance, has two features that will increase your visibility in exchange for a higher cut of your booking rate. This is highly recommended when you’re just getting started so you can increase the number of reviews and clicks faster. You can always back down their commissions later once you’ve built a strong listing that can rank well on its own. OK, so this may seem like a tall order for a lot of you. Understandably so, since web design isn’t easy or cheap. But read on anyway – we have a solution for you. Having a website will allow you to take bookings directly from guests without paying commissions. This is a huge plus since your website’s design will be perfectly crafted to promote your property. Bigger, better images, more information, virtual tours, videos – you can use these things to introduce potential guests to your property in grand fashion. A well-designed property website can attract and impress people more effectively than a standard listing. For some property managers, a dedicated website is the cornerstone of their vacation rental marketing strategy. Tokeet. That’s how. Aside from being a full-featured channel manager, Tokeet also comes with a simple, user-friendly website builder. You can have a branded, fully optimized, beautiful property showcase in just a few clicks. The website builder also includes a booking engine, which will allow you to take direct bookings from guests right on your website. Your availability calendar will be fully synchronized with your other channels as well! Read more about it here! Finally, we come to the last step. It’s really two steps rolled into one though since they share techniques. We spoke about SEO before, but not in the traditional sense. Since it’s such a massive subject, we’re going to boil it down to one thing here: keyword optimization. For a complete walkthrough on optimizing your site, follow Moz’s SEO best practices guide. Keyword optimization is the art of incorporating keywords with high search volume into your website’s text. It requires a bit of skill to insert these terms into your text and still have natural sounding dialogue. It’s also something that has to be done properly to work – you can’t just make a page with your keyword on it 100 times and expect results. Google’s search algorithm is extremely sophisticated. Luckily, there’s a few simple rules you can follow to ensure you’re on the right side of things. Google’s main goal is to find accurate results for its users that contain original, informative content. If you keep that in mind while you’re writing, you’ll probably do just fine – don’t get caught up in the details. You want to optimize for the keywords “miami vacation rentals“. That’s a smart move since it currently receives 4000 searches per month. So in order to optimize, you’ll have to choose a page on your site to focus on the keyword. In this case, it’s most likely going to be your main landing page. It’s perfectly OK to create a new page altogether for this keyword though. To create enough text, you’ll want to write at least 500 words. It’s recommended that you try to get closer to 1000. If it’s not possible without rambling on and going off subject, don’t do it – we want informative and useful content. You need about .5% keyword density – or 1 keyword instance for every 200 words. For a 600 word article, that’s just 3 mentions. Not too difficult is it? You’ll need to have the keyword in the page’s heading, so that’s one instance taken care of already! Now you can see how much easier it is to write 1000 words since each of these variations could be a subject in its own. Get to work! For those who are having trouble ranking naturally for their keywords (or don’t want to wait for results), there’s PPC. Pay-Per-Click. Using Google’s AdWords platform, you can advertise your website to appear at the top of search results pages for your keywords. With PPC, you will only pay when a user clicks on your ad and visits your site. Depending on your keywords, this could get expensive if you leave the ad running too long – make sure you set a budget ceiling. For our example term “miami vacation rentals“, the cost is $2.24 per click. It’s up to you to decide whether that’s worthwhile to you. You can only calculate the ROI (return of investment) when you know just how many of those clicks will become bookings – this is called your conversion rate. If this all sounds too technical (and it is), there are plenty of reasonably priced digital marketers out there to run PPC campaigns. They may also choose to run advertising campaigns on social media platforms as well. It’s worth experimenting with this since the cost is low and you could potentially make a profitable system out of it. Well, hopefully we’ve provided you with enough material to start working your own vacation rental marketing plan! With these four steps (and a nice property), you’ll be profitable in no time. For anyone wishing to delve further into their vacation rental marketing strategies, it’s recommended that you explore management automation and automated chat bots. Automation is now more user-friendly than ever, so don’t be afraid to look into it – nothing else comes close in terms of making your business more efficient.